Don't let your energy bills follow the thermometre when temperatures soar! Follow our tips to keep your energy bills cool when the weather outside heats up. If you haven't already done so, consider having a home energy audit performed on your house. This evaluation will allow you to identify the most cost-effective ways you can improve the energy efficiency of your home. While you should keep your curtains open in the winter to take advantage of the sun's natural heat, you should beware the power of the sun's rays during the summer. 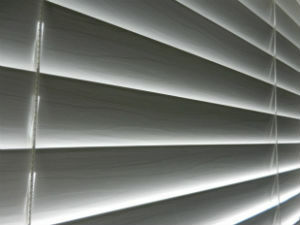 Keep your curtains drawn during the heat of the day to block out some of the heat from the sun. Take advantage of sunny days by keeping the lights off during the day. Light can add unnecessary heat, especially if you use incandescent bulbs, and may not be necessary if you get enough light from your windows. Watch out for any vampire power that might be lost from your plugged-in electrical appliances and gadgets, replace old appliances with ENERGY STAR models, and try to avoid cooking with an oven when the weather gets hot. Keeping your fridge full will also keep it from warming quickly when you open it, meaning that your fridge doesn't have to work as hard to stay cool. Try to limit the number of times you open your fridge on particularly hot days. Use a programmable timer on your thermostat so that the air conditioning is only running when it needs to. Try to keep your thermostat at as warm of a temperature that is possible - the smaller the difference is between indoor and outdoor temperatures, the smaller your power bill will be. Don't set your thermostat for a colder temperature than normal when you turn it on - your home won't cool any faster, and will contribute to a higher energy bill at the end of the month. Drying your clothes outside is not only better for your wallet, but also for your clothes! Reduce wear and tear from drying your clothes in a machine, and take advantage of the heat of the sun instead. Clothes dryers are big energy users, so 'firing your dryer' can have a noticeable impact on your monthly power bill. Ensuring good airflow throughout your home is an important part of reaching and maintaining a comfortable temperature. There are a few easy things that you can do to improve airflow in your home. First, keep the heating/air-conditioning vents in your home open and clear of anything that might be blocking them. You should also regularly change the air filters in your vents - most recommend changing them once about once a month. This will help improve air circulation and will ensure that your air conditioning system is working as efficiently as possible. Think about using fans before you turn on the air conditioning. While fans won't cool the temperature of a room, they will create a cooling breeze, which may be all that's necessary if it's not too hot. Using fans will improve air circulation and help the room achieve a more even temperature. It's for this reason that it is a good idea to keep them on even when you've turned on the A/C; an even temperature will keep your air conditioning system from working harder than it needs to. 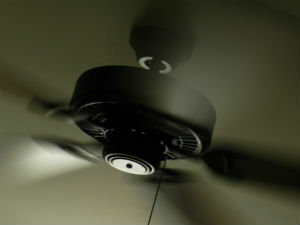 If you have a ceiling fan, make sure that it is running in the counter-clockwise direction during summer. This will ensure that it is pushing hot air in the right direction (upwards and outwards). Depending on where you live in Canada, you may have a choice of who provides your electricity and gas. Most provinces have opened up to market competition for natural gas, and Albertans and Ontarians have a choice of who provides their electricity and gas supply. Shop around and check out what competitive energy retailers offer - you may be able to find a good deal!